If you can’t fit in a full class or tutoring before the May and June tests, learn as much as you can in four intense days. This special Chariot Learning SAT/ACT Super-Intensive Class delivers a powerful combination of test strategies and content in a short period of time. You’ll get four lessons on how to excel in the math, grammar, and reading on both the SAT and ACT. 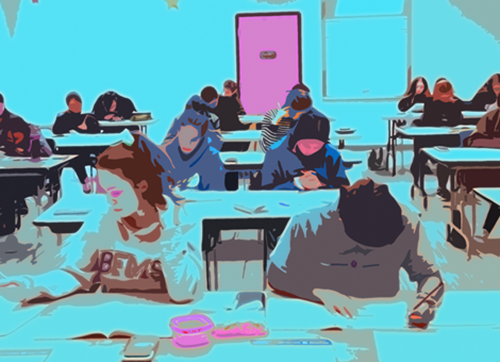 This class can also serve as a strong foundation for additional testing and tutoring in preparation for the late spring tests. We are offering a special rate of only $350 for this small-group class, which includes curriculum. Seats are limited and advance registration is required. Reserve your seat ASAP by email or phone. Wondering why a Chariot Learning class is the best group prep option you can find? Start here. Overall, Ryan definitely improved his scores thru the help of Kaeti and thank you very much. We highly recommend Chariot Learning and will defintely use this resource for our youngest.